My mother was diagnosed with aggressive stage 3 breast cancer in September of 1994. My mother was diagnosed with aggressive stage 3 breast cancer in September of 1994. It was because of that diagnosis that a previous six-year period of estrangement was broken between the two of us. It wasn’t far-reaching back in the 90’s to anticipate that my mom may have been working with a limited time frame in which to live out her life as she saw fit and to put her legal affairs in order. My mother traveled extensively and lived abroad throughout much of her journey with cancer as a result of being married to a man, my step-father, whose profession took him all over the globe. From Switzerland to Dubai, and many other geographical locations in-between, my mother was fortunately always outfitted with top-notch oncologists and specialists who professionally oversaw her medical care and on-going treatment regimen. Each and every one of these cancer specialists, referred to my mom as an anomaly given her overall longevity in-spite of ongoing bouts with recurrence, surgeries, various cocktails of chemotherapy and radiation interventions — each always eventually running its course and proving ineffectual. From stem-cell transplants, to bi-lateral mastectomy, to reconstructive surgery, to a surgically implanted port, to CT scans, to metastasis to not hitting the clinical trials jackpot, to the many cycles of hair loss/hair regrowth, to profound and drastic weight loss, to neuropathy and other various side-effects to wig and scarf shopping. My mother, after twenty additional years gifted to her since her initial diagnosis, passed away in hospice on June 27, 2014. These twenty bittersweet years of her having lived with the perpetual, on-going ups and downs, highs and lows, encouraging and discouraging test results, did not only profoundly impact her own life — it also affected every individual member of the family and, in its own unique way, touched every single person who knew and met her as well — those who lost a sister within her cancer support group, the church she attended who lost one of its loyal members, the knitting group she lovingly belonged to where she made and donated homemade lap blankets for Veterans, chemotherapy patients, and for children of pediatric wards of local hospitals. The American Cancer Association (Virginia District) lost one of its key Ambassadors. Affected families afflicted by the same disease, lost one of its annual participants in the “Fight to End Breast Cancer Walk,” and so the list of those of us who have outlived my mom continues. The journey of tangibly and intangibly living with a family member impacted daily by terminal illness, in addition to the aftermath of those of us grappling with the grieving and healing journey which follows, is an emotional roller coaster to say the least. And as we find ourselves getting older and our loved ones also getting older, it unfortunately becomes commonplace to learn of others we know and care about, grappling with new diagnoses, health complications, and unforeseen health-related challenges. It can become a trigger or déjà-vu moment for those of us already directly and intimately impacted, but it can also serve as a gift to those choosing to lean on us ‘veterans’ who have already traveled that path and who can know how to help emotionally navigate when requested or sought out to do so. 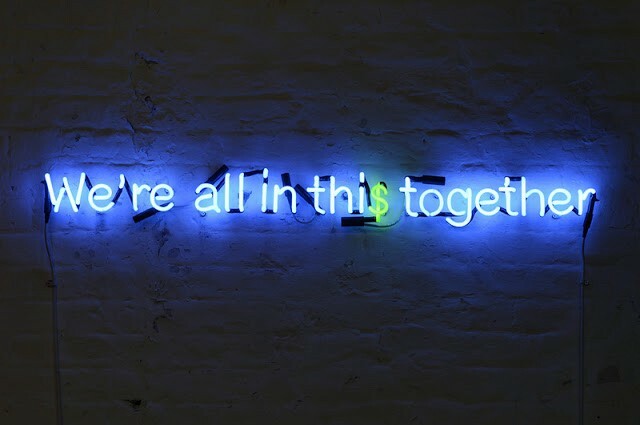 As I often times say, no matter the plight, the challenge, or the mission — I wholeheartedly believe that we are all in this, together! Grief, loss, and transition has the power to make us all better and improved human beings; more deeply compassionate and empathetic and connected with one another. These are the gifts and lessons that I personally choose to remain mindful of no matter the circumstances or events presented to me in life. I Am Grateful for every additional day I am afforded and gifted! I Am Grateful for #LivingFearlessly!